If you are wanting some great touring routes the Hawkesbury has much on offer. Quiet country roads, meandering routes along the river, historic villages and fabulous farmgate produce by the roadside. And of course a road trip isn't a roadtrip if you don't stop and have a great coffee or meal along the way. From Richmond, head west stopping at the quaint rural village of Kurrajong and enjoy a coffee at one of the many cafés. Continue along Bells Line of Road, stopping at Bellbird Lookout at Kurrajong Heights for amazing views back to Sydney. 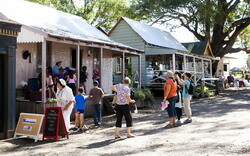 Drive through Bilpin, stopping at any of the stalls and orchards selling local produce. Many farms offer pick-your-own when fruit is in season. 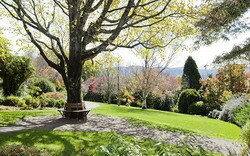 At Mount Tomah, stop at the Blue Mountains Botanic Garden for stunning views and wander through the magnificent cold climate garden. Make sure you see the Wollemi pines here. Continue west, turning off the road to Mount Wilson. In autumn be stunned as the leaves change colour and in spring be delighted at the flowers in bloom. Visit Hawkesbury Regional Museum in Windsor for a fabulous overview of the area’s river history. Cross the Hawkesbury River at Windsor Bridge and head to Wilberforce, following Sackville Road and crossing the river again on the Sackville Ferry. Continue via Maroota to the tiny village of Wisemans Ferry settled by Solomon Wiseman in the 1830s. Drop into historic Wisemans Ferry Hotel, established in 1827. Cross the river at Wisemans Ferry and drive towards St Albans. Stretch your legs on one of Australia’s heritage treasures – the Great North Road Convict Trail. Drive to the village of St Albans surrounded by amazing wilderness. Drop into historic Settlers Arms Inn, established in 1836. It was used by the stagecoaches travelling between Sydney and Newcastle in the 19th century. Start at Hawkesbury Regional Museum in Windsor and learn about the area’s rich history. Cross the river at Windsor and head to Wilberforce then onto Ebenezer Church, Australia’s oldest church built in 1809. Fancy tasting a local wine? Historic Tizzana Winery and Jubilee Vineyard (open on weekends) are just around the corner in Ebenezer and produce award winning wines. Visit Australiana Pioneer Village and historic Rose Cottage in Wilberforce (open on Sundays). You will get a fascinating glimpse of how people lived and worked over 100 years ago. From Richmond, head west over the Hawkesbury River to the remote Wheeny Creek camping and picnic area. Follow the windy roads along the wild ridges of the Wollemi National Park, stopping at the Upper Colo River camping and picnic areas. Swim or lilo on the stunning sandy Colo River. 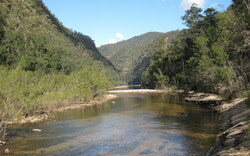 The Colo River is 86km long and cuts through the heart of the Wollemi National Park. It is a true rugged wilderness with few roads and tracks. 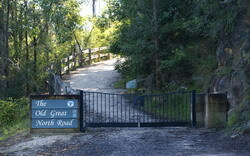 Drive to Colo Heights and take a bushwalk along the Bob Turners Track to a remote river beach deep in the wilderness. It takes about 4 hours return to do the walk.